In Catherine Pierce's most peculiar second collection, we enter a world of longing and destruction, of death and rebirth, and of wonderfully odd girls--girls who read too much, who drink too much or not enough, who craft necklaces from earwigs and wring nostalgia from Spiro Agnew. These are poems of questions and restlessness, but also of answers of a sort. As Beth Ann Fennelly writes, "[t]he big themes here--self identity, desire, escape--are illuminated with clarity, scored musically, and enlivened with wit. 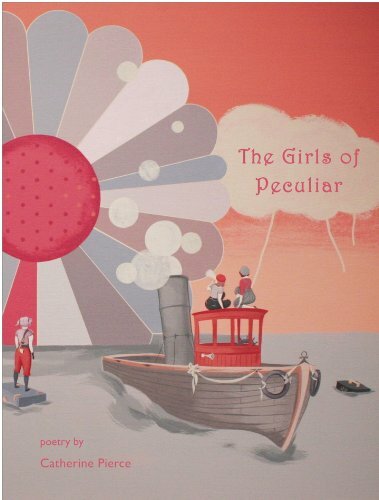 The Girls of Peculiar is a fabulous book." CATHERINE PIERCE is the author of Famous Last Words (Saturnalia Books, 2008). Her poems have appeared in many journals and anthologies, including The Best American Poetry 2011. She lives in Starkville, Mississippi, where she co-directs the creative writing program at Mississippi State University.